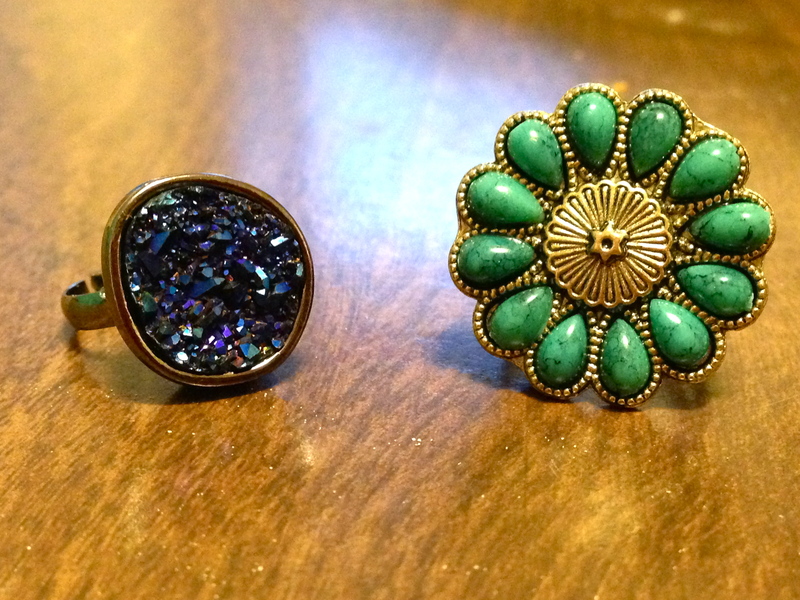 DIY – Easy Statement Rings! 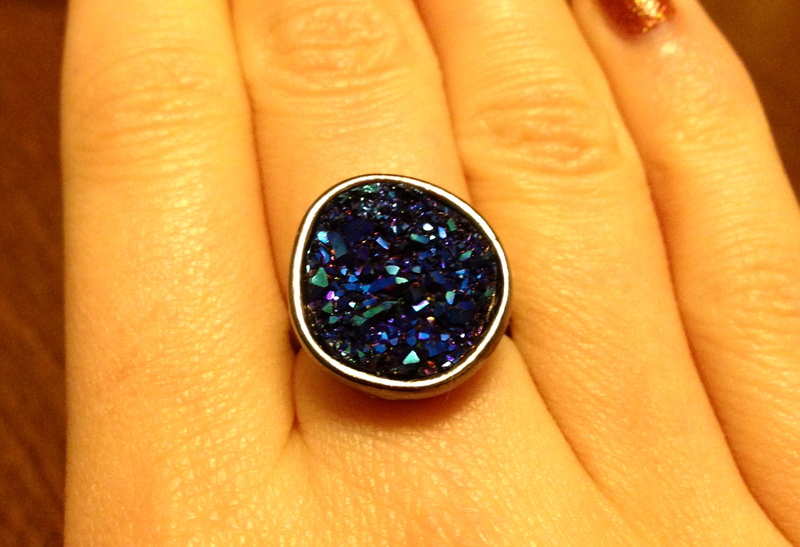 I’ve always loved rings, so this DIY is one that I’m soooo excited about! It is ridiculously easy. We’re talkin’ even craft-challenged boyfriends & dads could do this one. 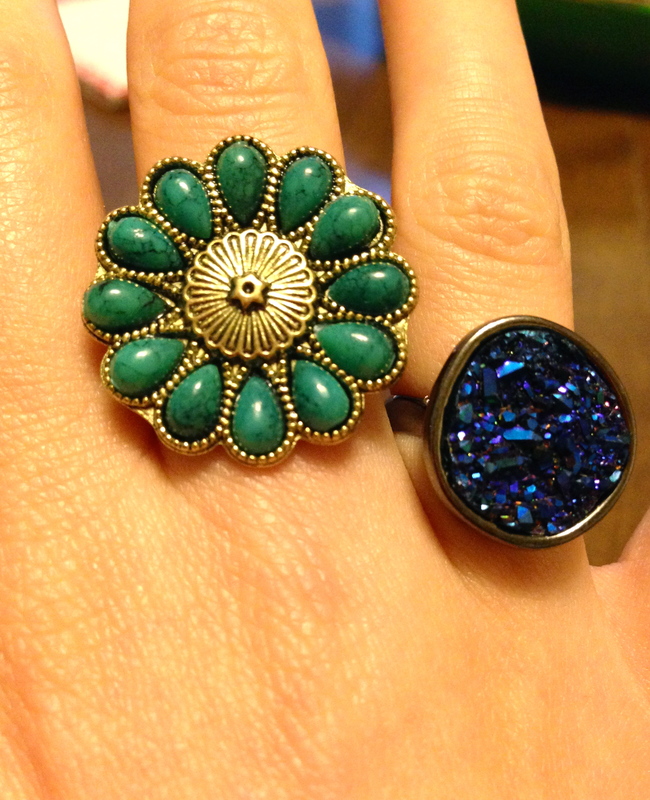 Got a friend who is never without her favorite rings? Why not make her her very own, personalized ring this holiday season? These babies are cheap, easy and the perfect way to make your gift-giving a bit more unique and personal. Go to your favorite craft store (I found all my pieces at Michael’s) and pick out some charms you know your giftee will love. 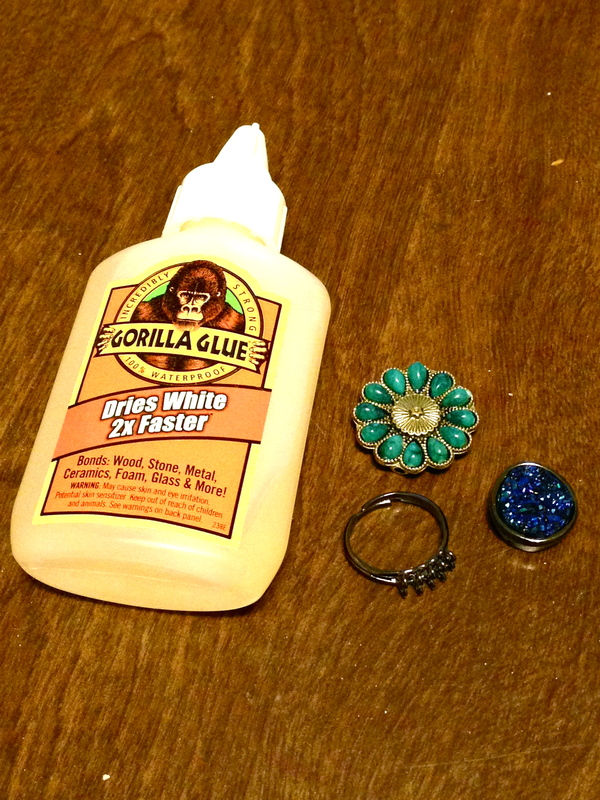 Also pick up some ring blanks and strong glue (I used Guerilla Glue). Then, literally all you have to do is glue the charm to the rink blank, let it sit (charm facing down) overnight & gift wrap it however you please!